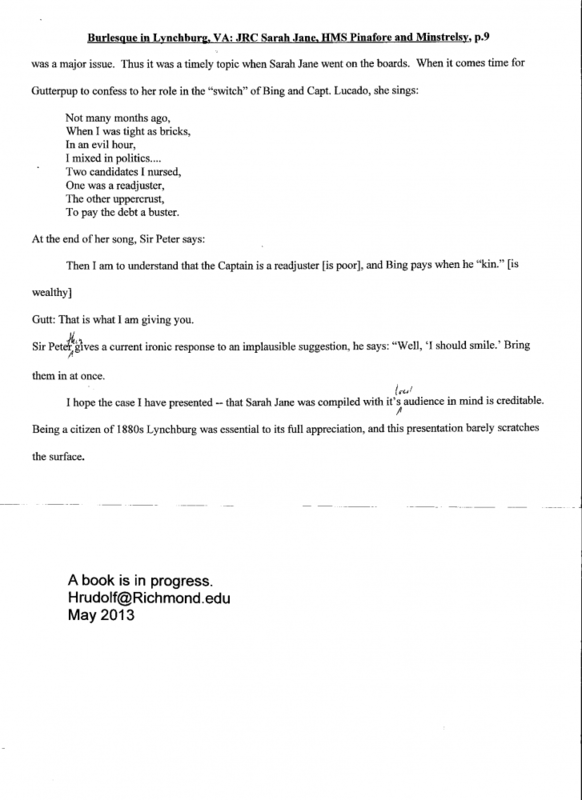 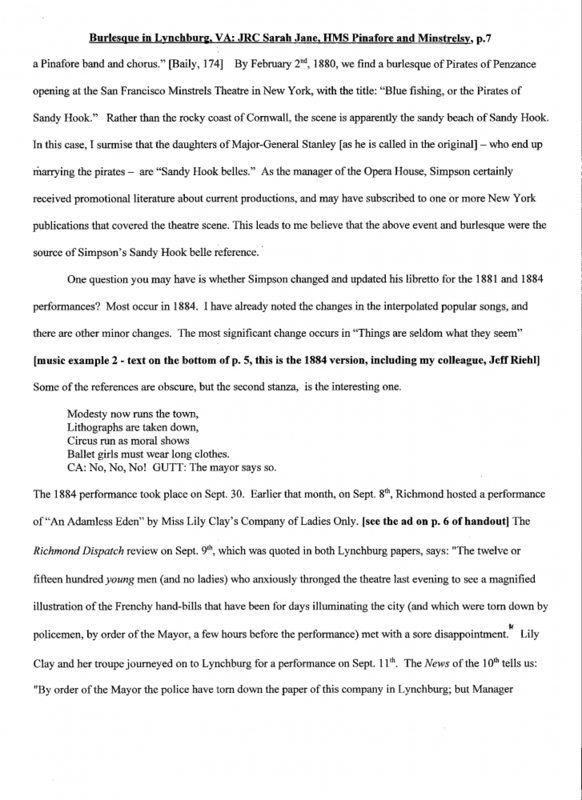 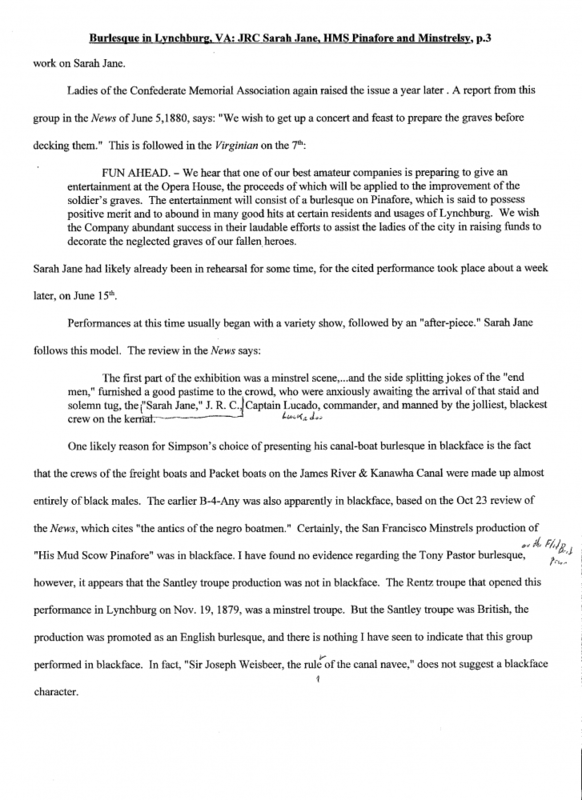 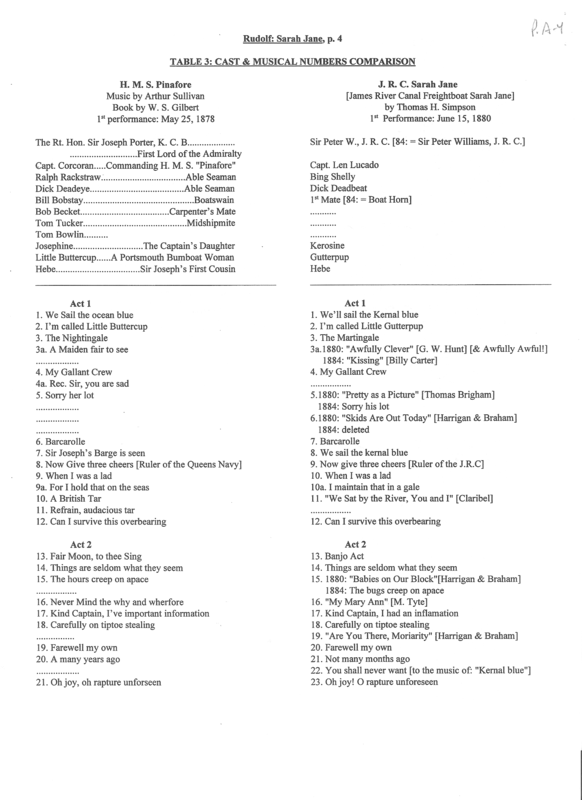 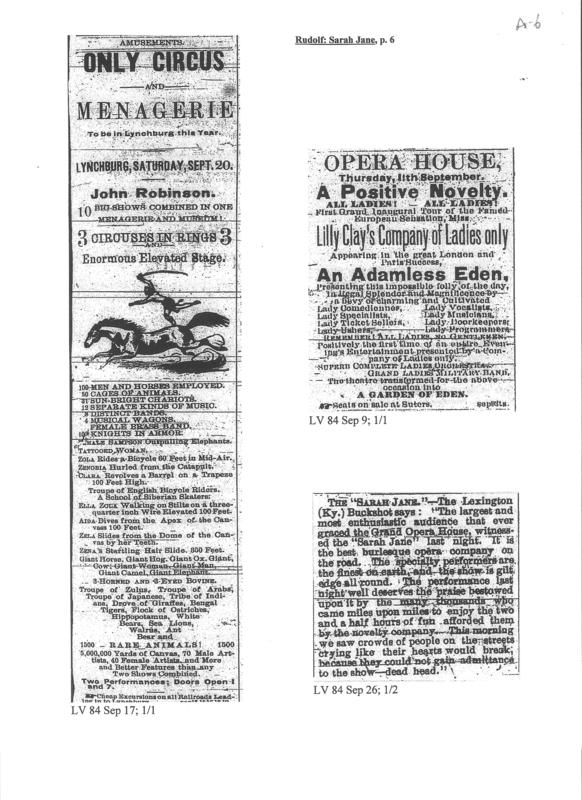 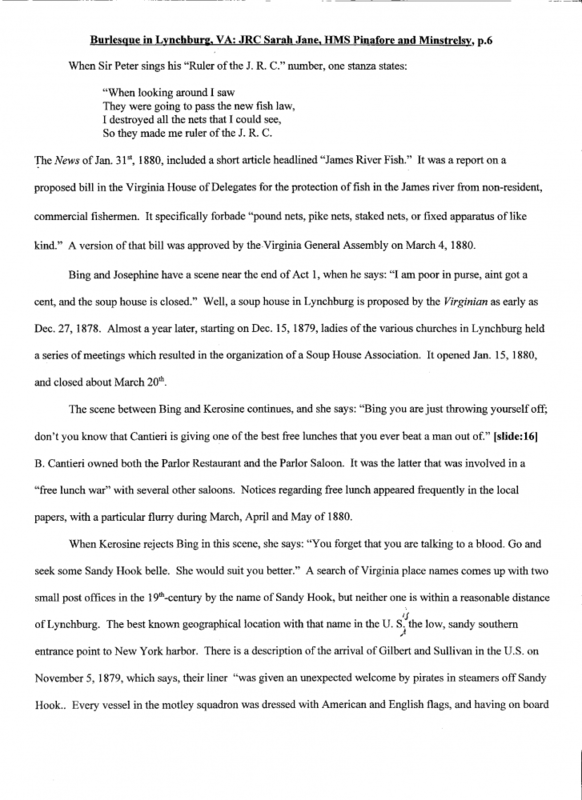 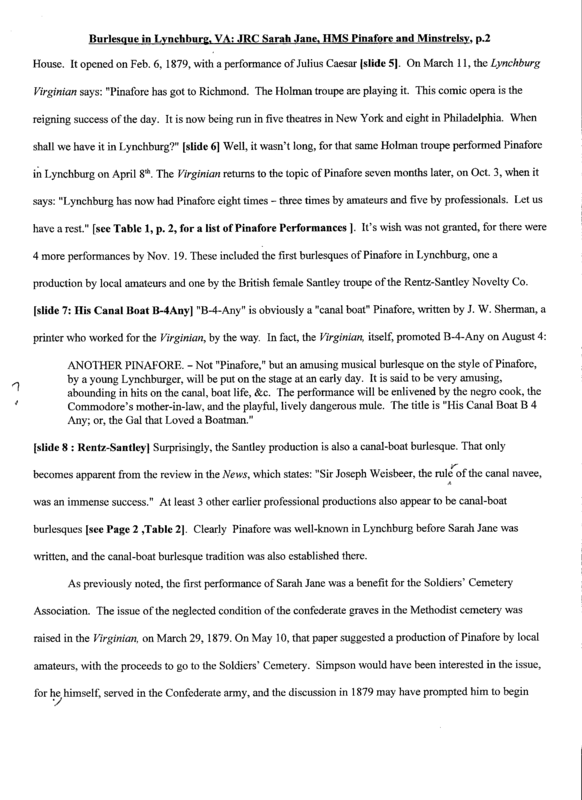 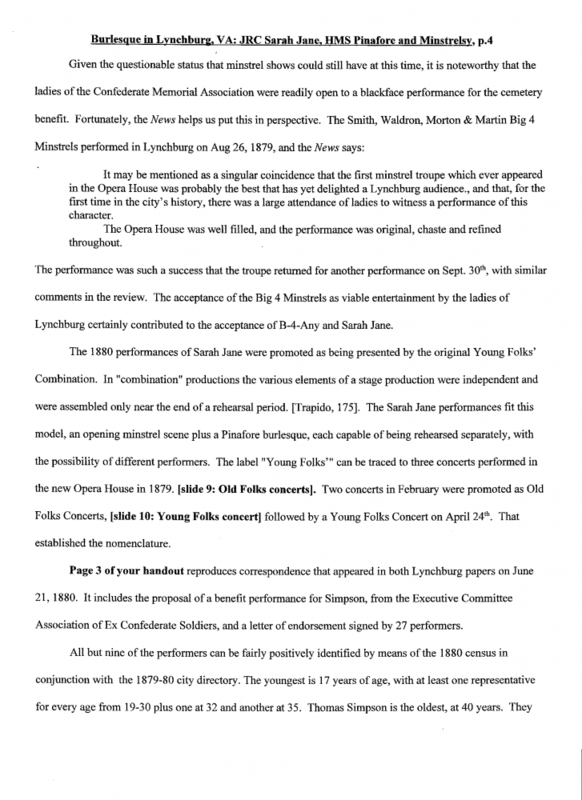 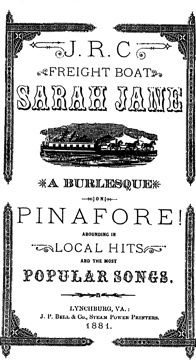 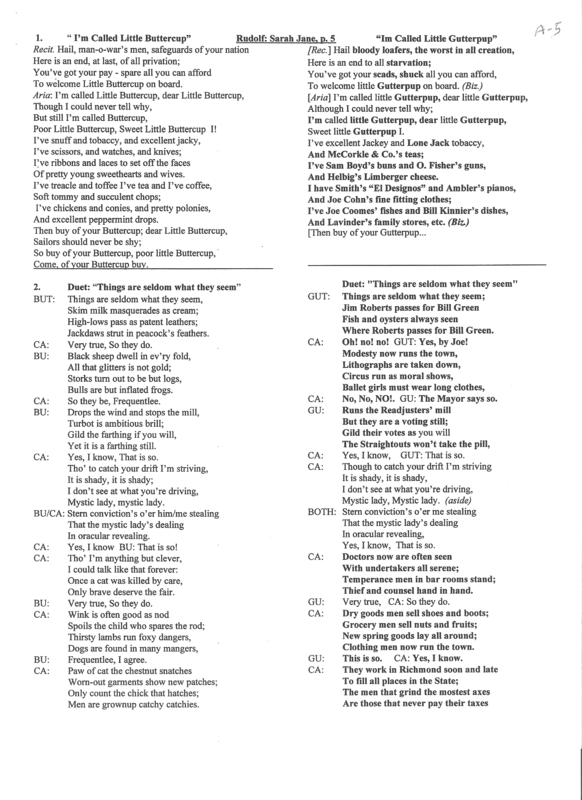 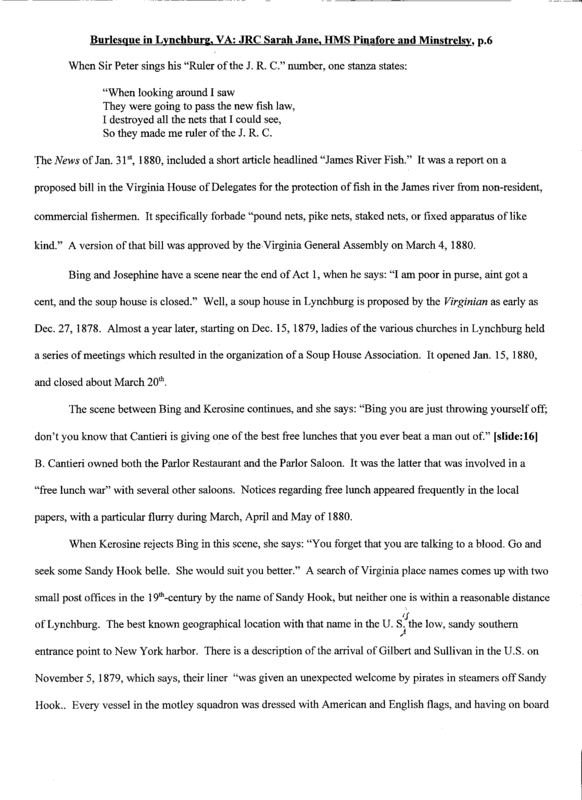 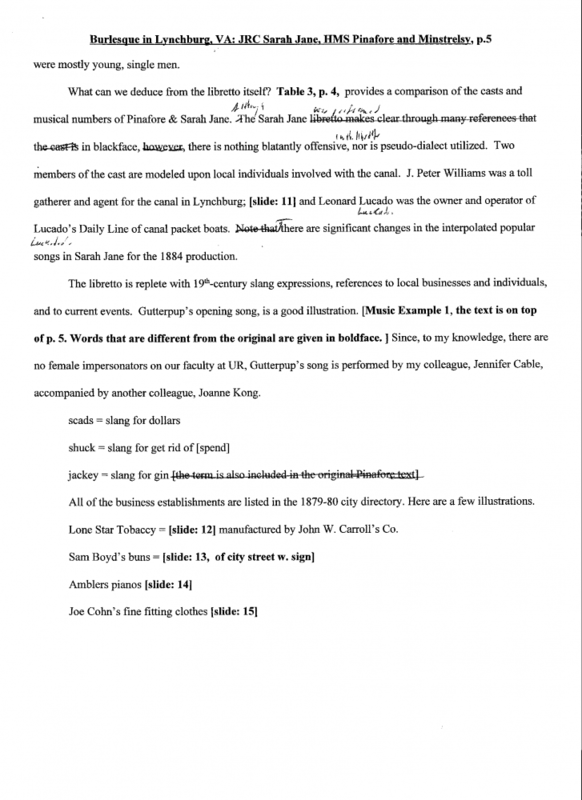 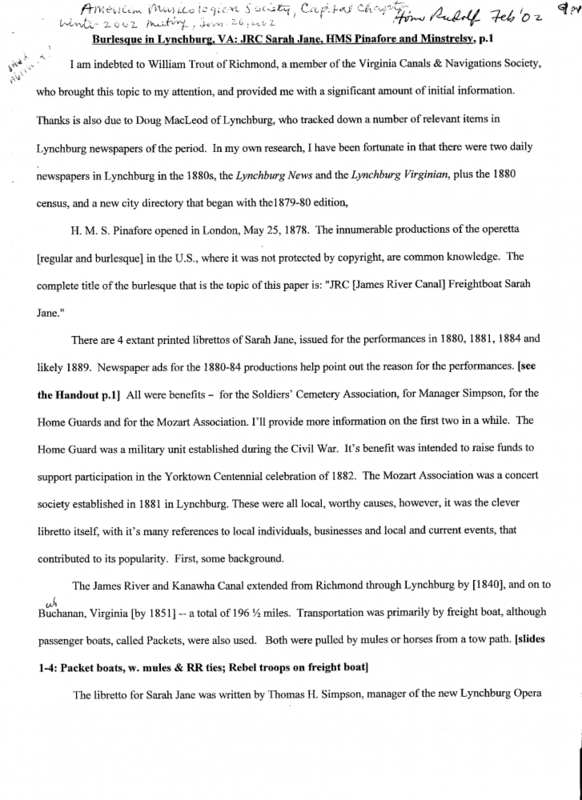 Text of “Burlesque in Lynchburg, VA: JRC Sarah Jane, HMS Pinafore and Minstrelsy,” by Dr. Homer Rudolf of the University of Richmond, Richmond, VA, hrudolf@richmond.edu, presented to the Capital Chapter – American Musicological Society, on January 26, 2003. 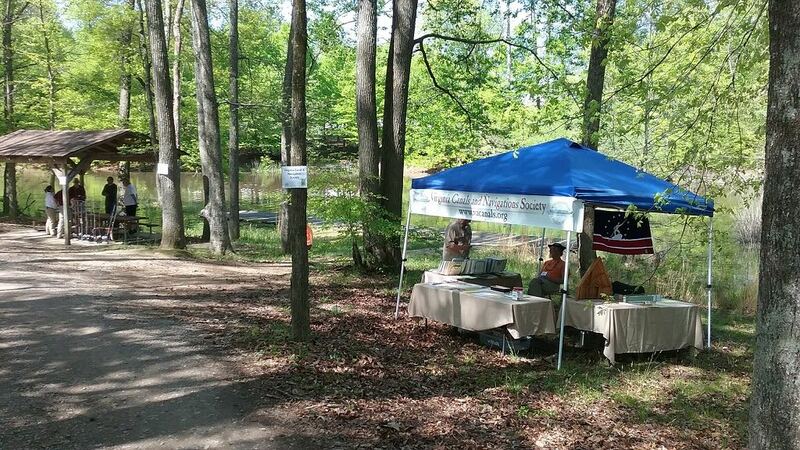 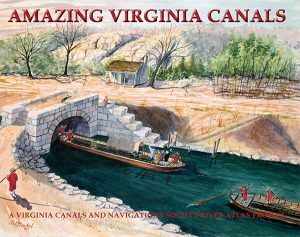 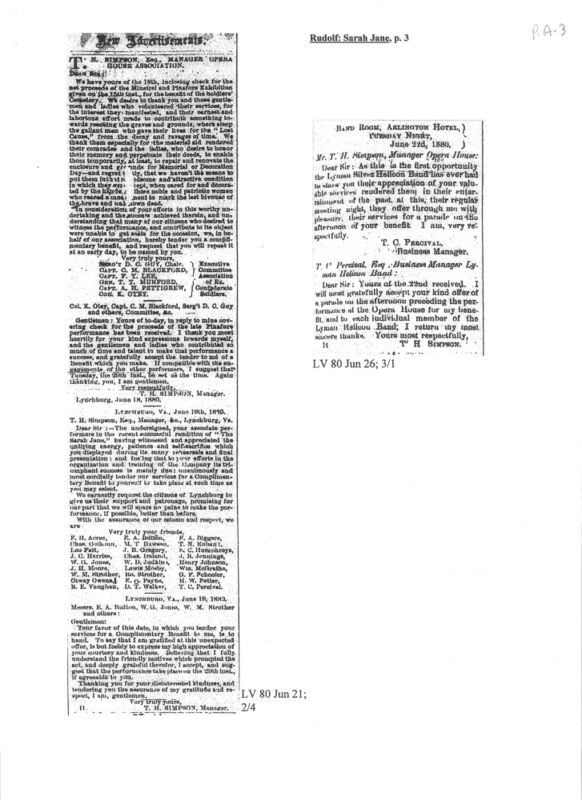 Please note that the Virginia Canals & Navigations Society does not discriminate on any basis and that we do not condone any of the racial slurs in the original 1881 edition of Sarah Jane, published over a century ago. 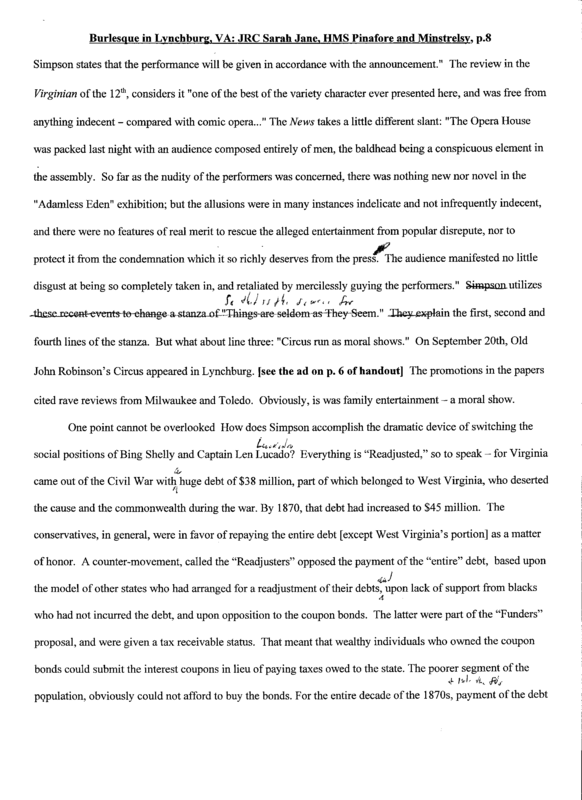 We have reprinted it as an historical document, without editing or blacking out these words, which are very embarrassing today. 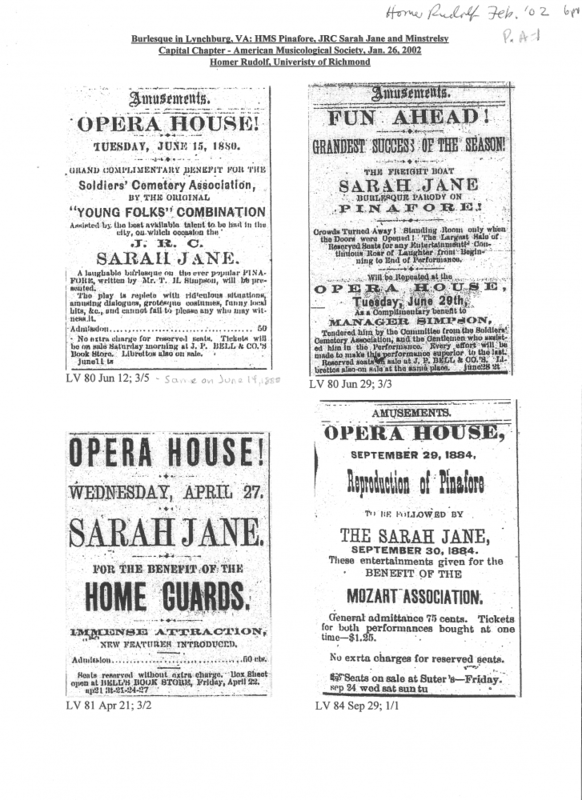 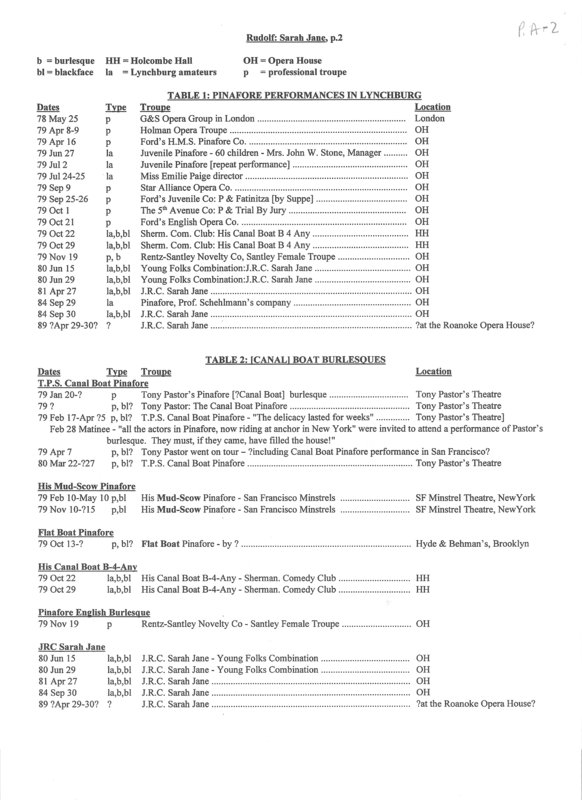 Comments on page 18 suggest changes which could be made if all or part of Sarah Jane is quoted or performed again.